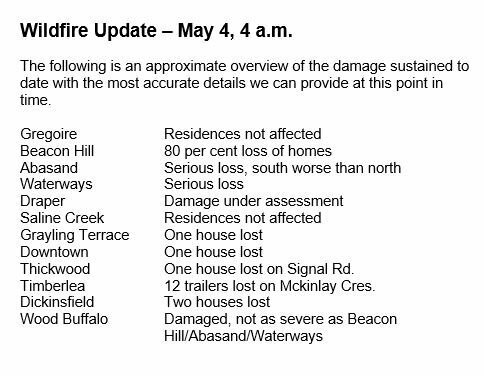 Fort McMurray, Alberta went from a May 1, 2016 forest fire that was expected to be contained, to a May 2 blaze of 1,250 hectares. 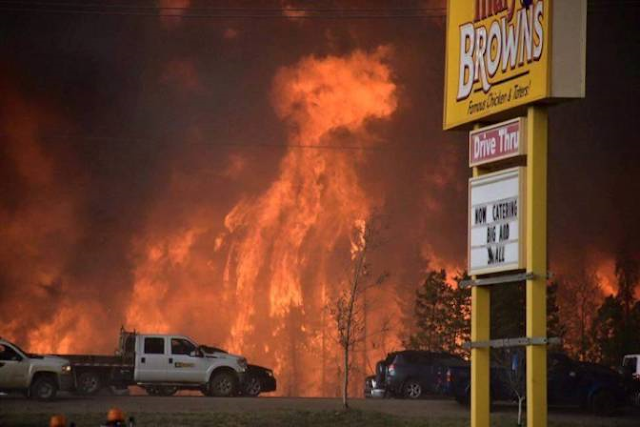 However, instead of dying down overnight, the morning of May 3, found the oilsands city facing the growing threat of a fire that had mushroomed to 2,600 hectares. About noon, the inversion broke, the wind shifted, increased, and fanned fire into an inferno that engulfed the city, resulting in a chaotic mandatory evacuation of 83,000 area residents. 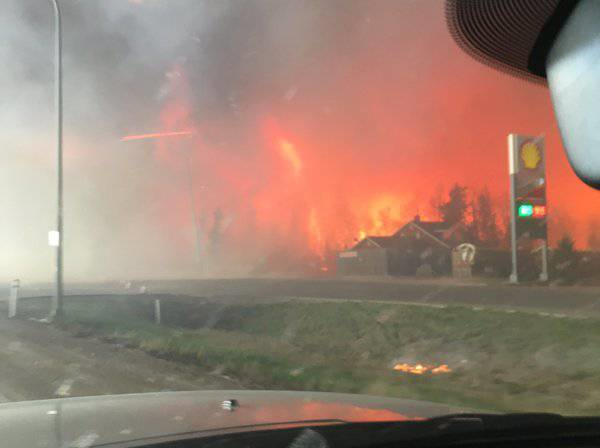 Schmitte said 150 firefighters were currently battling the flames and that help was being brought in from across Canada." 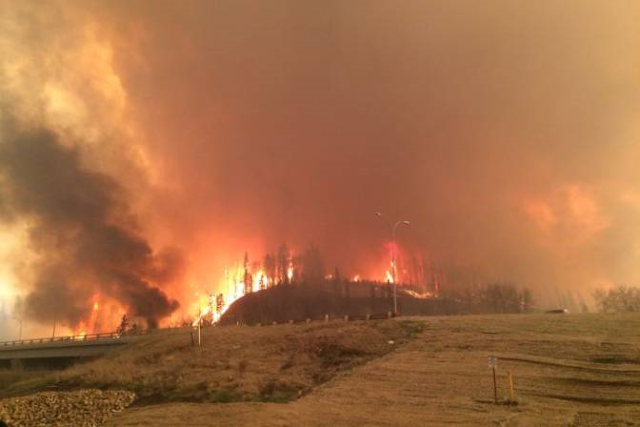 Alberta expects Wednesday's weather to create extreme fire conditions again. " 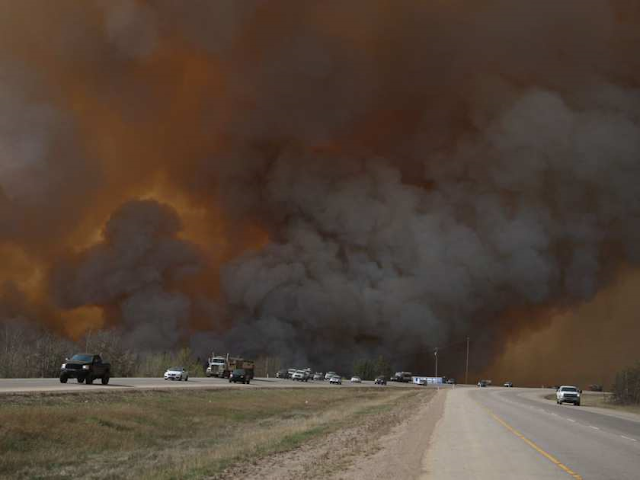 "Matthew Anderson, wildfire information officer, tells CBC Edmonton the weather looks bad today, with extreme hot and dry conditions." Fort McMurray is not alone facing these hellish conditions. Given it's own extreme fire situation, British Columbia declined to send assistance to Alberta to fight the Fort McMurray firestorm. “In this case, given the current level of fire activity in B.C. and the need to maintain necessary resources here, B.C. was unable to lend crews at this time. We will consider future requests,” Mr. Turcot said from Kamloops." He said B.C. is experiencing “high levels” of forest-fire activity in the Peace region with 48 forest fires, the largest covering 7,000 hectares, burning there. 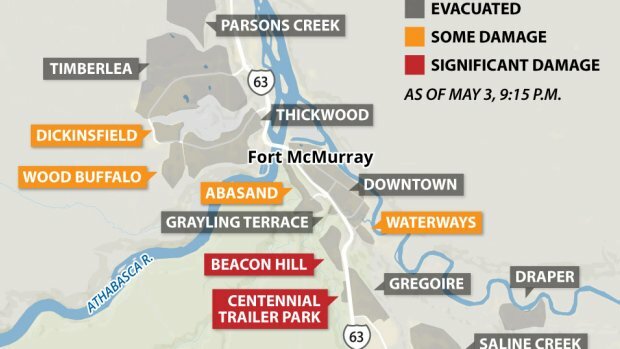 There are four evacuation alerts in B.C. – all in the Peace region." 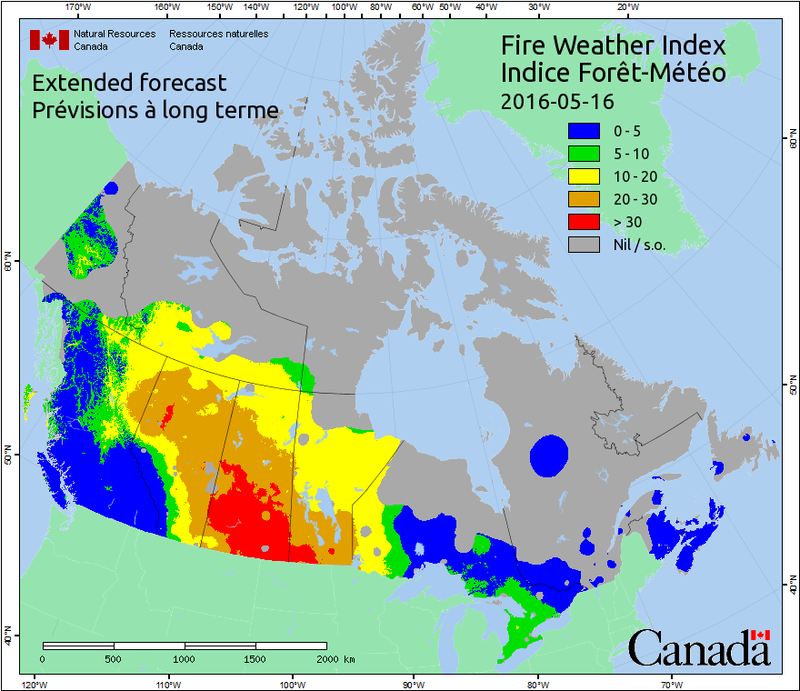 "Fire danger ratings across Saskatchewan range from high to extreme, as province-wide hot and dry conditions persist. Saskatchewan emergency management commissioner Duane McKay urged caution at a news conference in Regina Tuesday. “We anticipate high 20s to 30s and low relative humidities. That puts us into what we refer to as a ‘crossover situation,’ where things are extremely volatile,” McKay said." 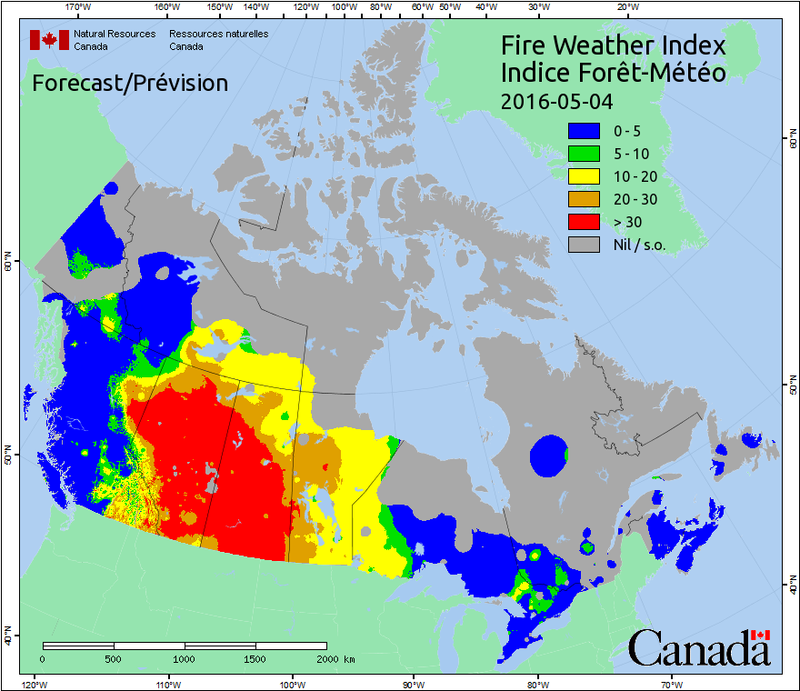 As of Tuesday morning, there had been at least 102 wildfires to date in Saskatchewan, compared to 81 at the same point last year." The Canada Fire Weather forecast depicts continuing high or extreme fire conditions for its Western provinces for the next several days. Temperatures have been above 30 C in some areas yesterday. Wednesday's forecast conditions expand the region of potential dire impacts. These dire forecasts for heat, low humidity and wind will create extreme conditions across much of the same region through May 8. By May 16, the situation improves, but not much. 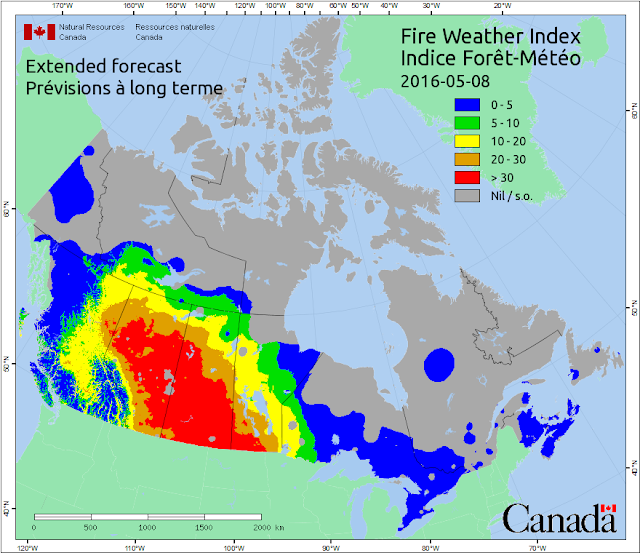 Canada is seemingly facing another summer of fire, smoke, and damage, that will further contribute to the global increase of CO2, methane, and black soot spewing into the atmosphere. Last year was a Northern Hemisphere fire record for acres burned for the US, Russia and Canada combined. It seems this year is getting a sobering start toward another major fire season. 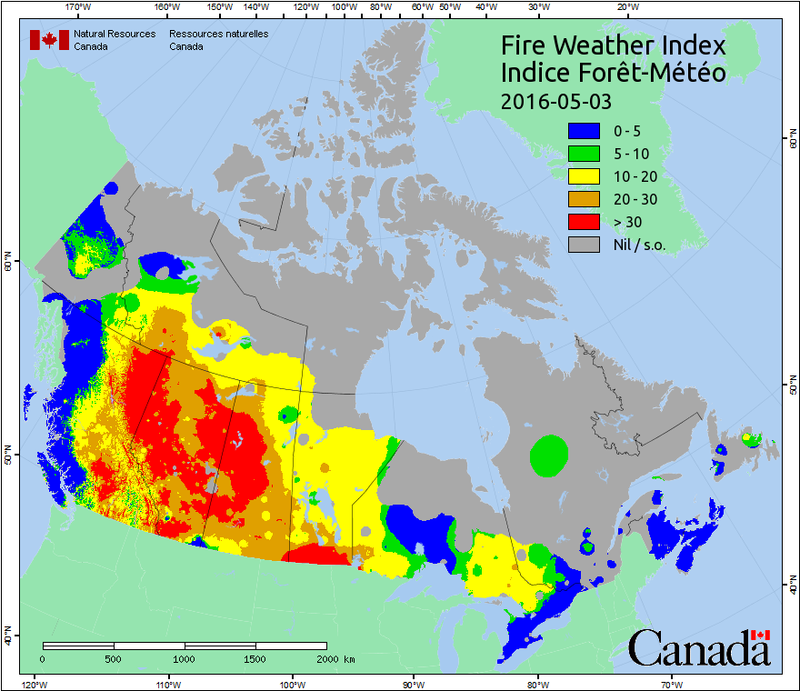 According to the Canadian Interagency Forest Fire Center, (CIFFC), Cananda has experienced year to date, (May 3) over double the forest fires of any average in the last 25 years. Worse, the 22,817 hectares consumed year to date are at least 400% higher than the 5, 10, 15 and 25 year averages.